Kyloe is proud to work with some of Scotland’s top farms and butchers as Head Chef John Rutter is committed to bringing our customers the best possible Scottish steak experience 1 course £12 | 2 courses £16 | 3 courses £20. Not available with any other offer. Must quote offer on arrival. Subject to availability. Think Afternoon Tea is all about the cucumber sandwiches? Think again! Not ones to go with the grain, we offer you Afternoon Tea, “Kyloe Style!” Whether you’re celebrating a birthday, anniversary, reunion or a just girl’s day on the town, Kyloe has just the delight for a fabulous afternoon. Kyloe’s Afternoon Tea £25pp | Kyloe’s Champagne Afternoon Tea £32pp. Terms and Conditions: Maximum of 10 diners. Includes VAT, excludes service. Must be pre-booked by 6pm the day prior. Please advise of any dietary requirements at time of booking. Champagne Afternoon Tea includes one glass of our champagne. Not available with any other offer. Must quote offer on arrival. Subject to availability. One of the secrets of a happy life is continuous small treats…so don’t wait for the weekend and take that special someone out for a steak date! Kyloe now serves fabulous Rump steaks with sauces and sides for two for £40, all day on Wednesday. Not available with any other offer. Set prices only apply to the steaks listed for each day (no swap possible between days/dishes). Must quote offer on arrival. Subject to availability. One of the secrets of a happy life is continuous small treats…so don’t wait for the weekend and take that special someone out for a steak date! 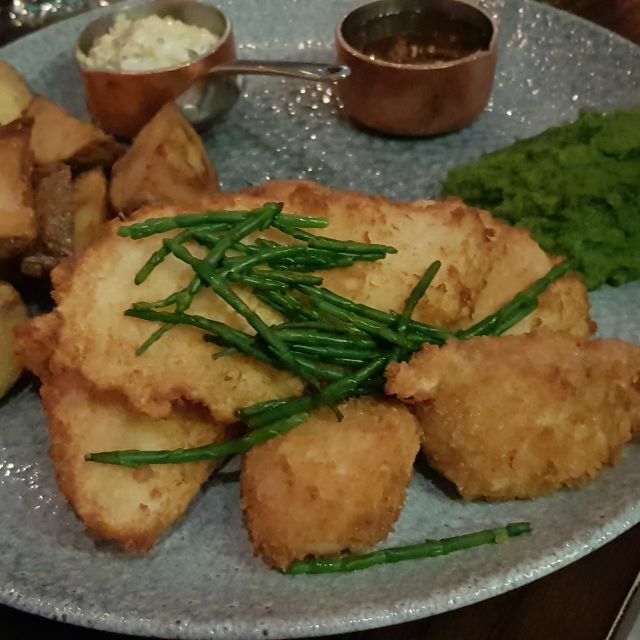 Kyloe now serves our fabulous 5oz Fillets with sauces and sides for two for £45, all day on Tuesdays. Not available with any other offer. Set prices only apply to the steaks listed for each day (no swap possible between days/dishes). Must quote offer on arrival. Subject to availability. One of the secrets of a happy life is continuous small treats…so don’t wait for the weekend and take that special someone out for a steak date! 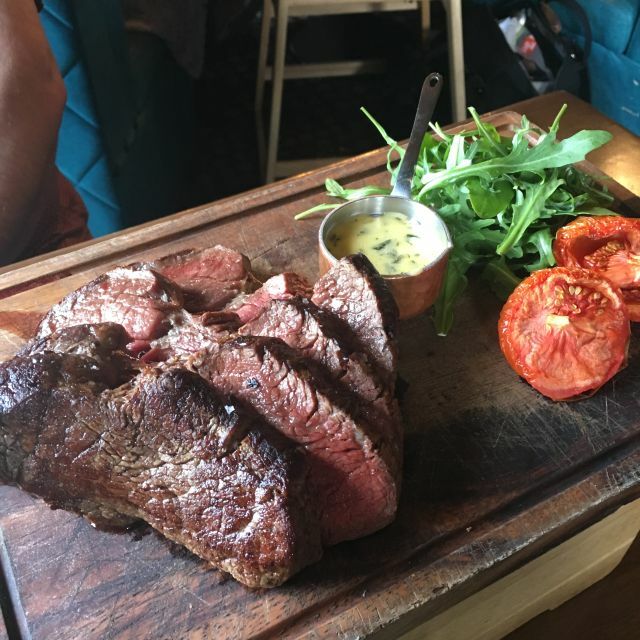 Kyloe now serves a fabulous Chateaubriand with sauces and sides for two for £50, all day on Mondays. Not available with any other offer. Set prices only apply to the steaks listed for each day (no swap possible between days/dishes). Must quote offer on arrival. Subject to availability. Includes own joint of borders roast rib of beef to be carved at the table (Roast fillet for 2 people), Yorkshire puddings, duck fat roasted potatoes, pan gravy, roasted organic root vegetables, creamed cabbage, hot horseradish cream and a superb British pudding to share. Must book in advance with payment of 50% deposit by midday on the Friday before. Terms and Conditions: Maximum of 10 diners. Includes Tax, excludes service. Minimum 48hrs notice required for cancellations or deposit will be non-refundable. Very good, unrushed lunch. The restaurant is very spacious. Tables are well spaced apart and roomy, especially the banquets. It was nice and busy without being frantic because of the space and servers who are friendly and professional and on the ball. An excellent ambiance. My filet steak was beautiful, the broccoli with parmesan exactly as it should be. The only reason I would not give ‘excellent’ for the food were the hand cut chips - dry and tough as if they had been reheated many times and/or left sitting. It’s a noticeable flaw. Perhaps the heritage potatoes or mash with cheddar may have been better, and I will try these on return visits. My dessert - apple strudel with creme anglais and ice cream was perfect though, and a generous portion without being overwhelming. 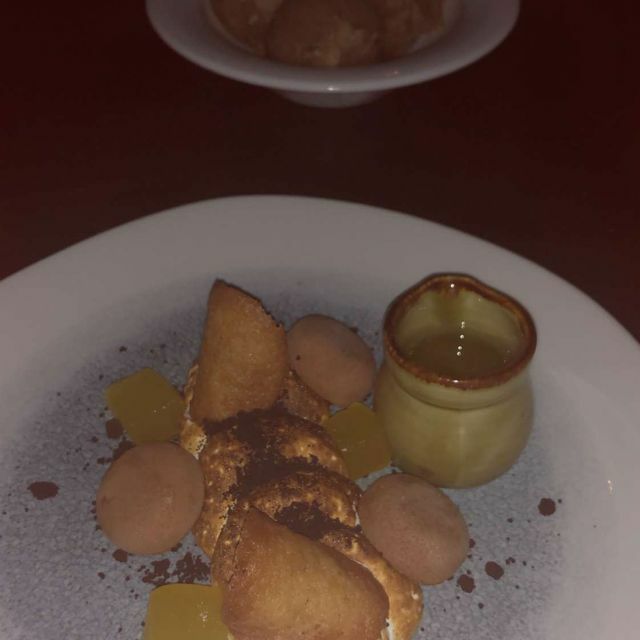 It was delicious, and it’s a relief to have a warm dessert on a menu these days. Kyloe wipes the floor with Hawkesmoor on every level. If only the chips had been better! But I will definitely return and highly recommend. My dad gave me a bill of 10 out of 60 from his pocket to leave a tip of 5, he put back the money in the pocket, we left. In the stairs my dad realized that he dropped the money from his pockets, we went back up they told us they didn't saw the money.... No very professional..
AMAZING we have been to Edinburgh 3 times now and ALWAYS come to the Kyloe. Excellent food and first class service. The staff were knowledgeable and helpful. The steaks were delicious and the little extras, bread to start and little chocolate with coffee, elevated the dining experience. We enjoyed our evening, the food was very good when it arrived. Service was very slow but the staff couldn't have been nicer and they made a generous gesture towards our bill. Fantastic food and an excellent service to boot. Overall a very pleasant experience. Some of, if not the best, steaks you can get in Edinburgh. Great staff and service too! But what's up with the 90s vibe music? To us it disturbed an otherwise great ambiance. Great place to eat everything about was lovely would definitely go back or tell friends to go. Overall a nice place with good service but if you want anything between medium rare and well done on a steak you are out of luck. Second time I’ve visited and not been able to eat a meal - not sure I would bother trying again. Fantastic restaurant with incredibly knowledgable staff. The food was to die for - dare I say the best steak I have ever had! Despite the fact it was fairly busy due to it being mothering Sunday, our waiter was very attentive. Would highly recommend to anyone and everyone! Great Mothers Day meal. Nothing really to fault. My daughters steak could have been a little pinker but she still enjoyed it. Staff were very attentive a friendly. We will return. We were a party of 5 (3 adults, 2 kids) who dined at Kyloe on Saturday evening last. We did not have a good experience. Whilst the starters were fine, the main courses arrived about 45 minutes after the starters and the food was late, and cold - I would guess the kitchen had the food prepared on schedule but service didn't bring it out. The waitress spilled wine on my son when she opened the wine bottle, and then spilled some wine when pouring - this can happen, but she didn't need to ask my father, when he was paying, did he want to add a tip - as they had already added a mandatory 10% service charge to the bill (which the restaurant states in its policy is added only to parties of 6 or more, but it was added to our bill anyway, despite us being 5- I suspect a Saturday night special !!). To top it off, we had 3/4 of a bottle of wine left which the restaurant would not let us home to enjoy, due to licencing laws. This amounted to pure waste of a good wine - when the manger was called by the waitress to assist, in fairness he credited the bill with the costs of the bottle, but I suppose the point is that when our for a special evening with family, you want to be wowed about the food & service, and not tallying up whether the credit received compensated for the very poor experience. Great dinner in nice location. Steak speciality. 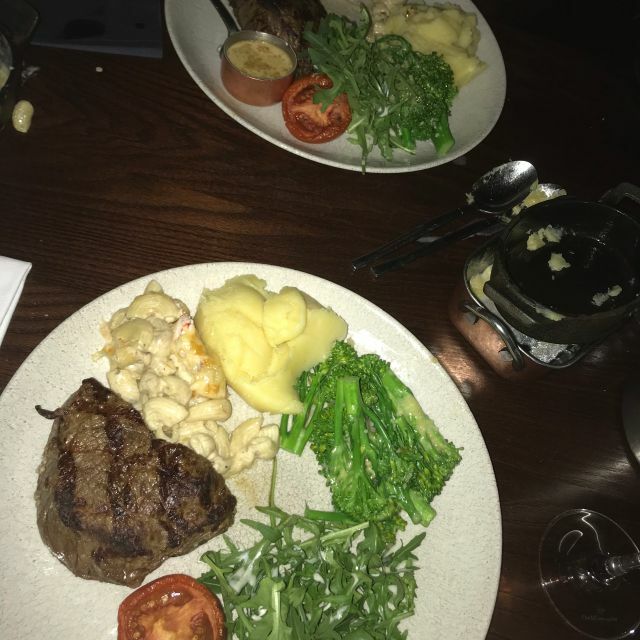 My wife and I shared a Chateaubriand for two plus some sides; it was somewhat pricey (£58 for the steak) but easily was one of if not THE best steak I have ever eaten. They are also very allergen-aware, an important issue for us. We enjoyed a wonderful Sunday Lunch, excellent food and service, and were made to feel extra special as it was our wedding anniversary weekend! 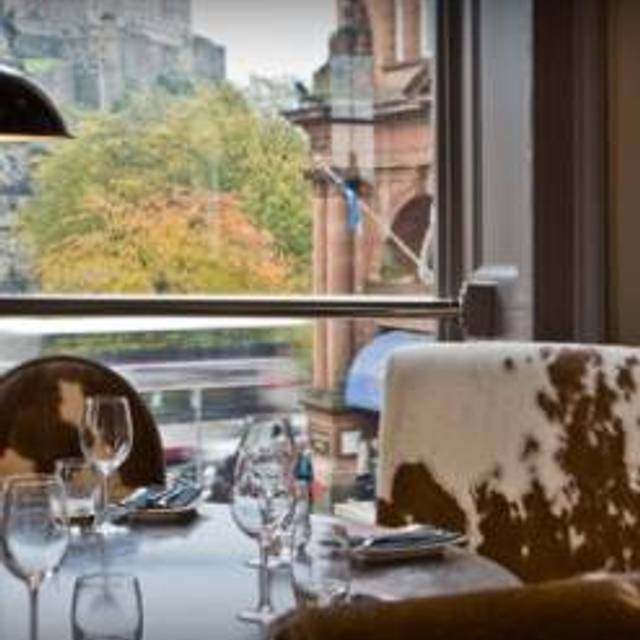 We had dinner here a couple of years ago and loved it, we will return when next in Edinburgh. Thank you. Absolutely incredible meal for my partner’s birthday. Service was outstanding - the server recommended an amazing wine which went perfectly with the steak and the food was all cooked to perfection. They even came out with a dessert board to say happy birthday! Can’t fault it! Nice place, lovely decor. Staff lovely, a bit too attentive at the beginning however! Food good but not great, no need for cheese in the mash & with the creamed spinach. Food served warm, not hot. Had to ask for the bill 3 times and then had to ask to pay twice, this is when the restaurant was fairly empty and staff were just stood around. That said, the staff were very friendly when we did speak to them. Amazing food. Attentive staff. Will be back in the future. We had to wait a small amount of time for our table to be ready but the staff were all very polite and obliging. The food was fantastic and the idea of your meat being cut at the table is brilliant! Really enjoyed our meal. A fantastic birthday meal. The Sunday roast was exceptional, fantastic roast beef with ALL the trimmmings as well as a lovely desert. Excellent value for money. We were well looked after and the happy birthday treat was an extra little bonus! It’s the second year in a row I’ve had my birthday lunch with friends at kyloe and will most definitely be making it my birthday tradition! Great steaks, plenty of choice of cuts and sides, really enjoyed it. Service was really good. attentive staff. The only downside was I slipped on the way to the Unisex toilets and sprained my wrist! I only had one glass of wine, so cant blame that. Staff were great though and took good care of me, wouldn't deter me from going back, just unfortunate.